The birth of a new baby is a momentous and joyous occasion and one that definitely needs to be celebrated. However, it can be difficult to find the perfect present to give to the new mum to perfectly celebrate her new arrival. Whether you want to give her a bit of luxury after a difficult few months or want to help her get used to her new role, there are a lot of different options out there. So which ones are the best? 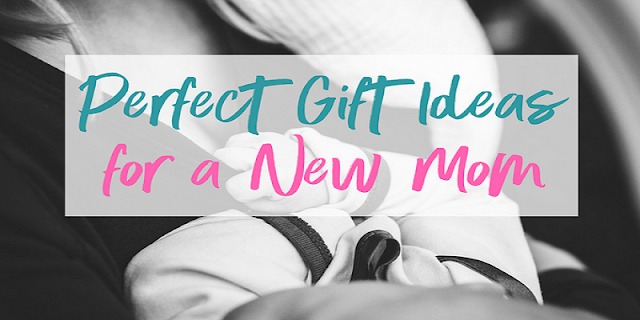 Here, we’ve found three of our favorite gifts for a new mum after the birth of a new baby. Flower cards are the perfect gift for any new mum and are a unique spin on the traditional greetings cards used to celebrate big occasions. These cards allow you to give your congratulations to the new mum and send your own personal messages and blessings to the new baby, alongside a beautiful miniature bouquet of flowers. In an array of themes and with the option to be accompanied with personalized chocolates, they are perfect for sending your love to the new parents. And, with a miniature bouquet of flowers, there’s a lot less upkeep of watering and trimming for a new mum with limited time on her hands! After months of being uncomfortable and unable to indulge in much luxury, new mums will love the chance to have a bit of a pamper session when the baby is born. You can add in some face masks, wine, a nice DVD and some luxurious beauty products. Some added bonuses are things like fancy hand cream, as new mums will frequently be washing their hands which can quickly become dry. You could even add in some vouchers for a massage, a haircut or a nail appointment! Not only will a pamper hamper help the new mum to relax after an exhausting experience, it will also help her feel more like her old self, as well as giving her a reason to take some time out in the future. This post has some more ideas for your pamper hamper. Not many people like to dwell on this when celebrating a new arrival, but the next few weeks and months will no doubt be tiring and, at times, slightly overwhelming. As a result, most new mums won’t want to spend time cooking meals and finding snacks, especially if they have other little ones in tow. Putting together a snack box for the new mum is the ideal gift as it’s a thoughtful way to help the new parents out. This could be in the form of small snacks like granola bars, banana bread, and fruit, ranging to some larger offerings like full home cooked meals. Some key tips for gifting food is to make sure that it requires as little preparation as possible, comes in disposable containers to minimise cleaning up and is healthy and nutritious. This post by The Kitchen has some more ideas on how to help the new mum in your life out, or you can check out this gallery by Today’s Parent. Next articleLose Weight with CLENBUTEROL, The SAFE Way!